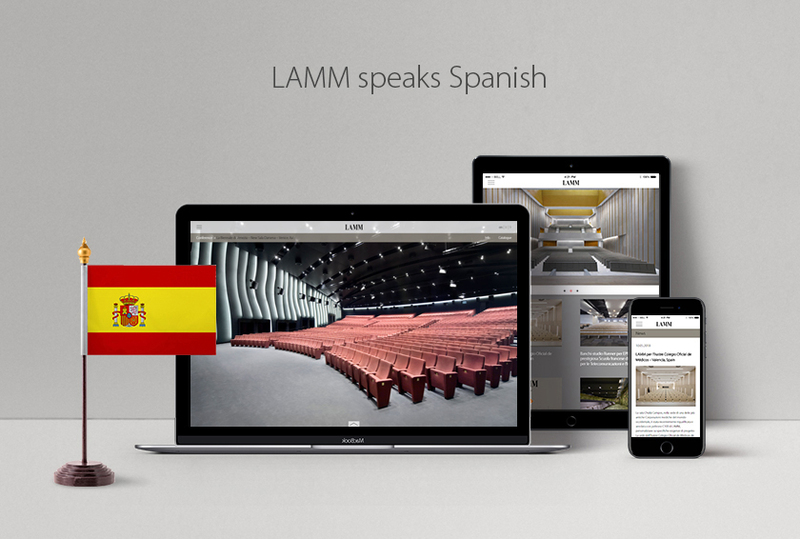 Since last 11th June, the new Spanish version of LAMM website has been available. A concrete demonstration of the development and growth plan of a company, which has been playing for about 60 years a leading role in the sector of seating systems for multipurpose and conference halls, theatres, lecture halls and universities. The growth strategy and the significant results achieved abroad have led to the realisation of this project aimed at strengthening and improving the online presence of the brand, as well as communicating clearly and effectively the quality and features of the solutions offered by LAMM. A further step towards an integrated evolution under the heading of an international consolidation and expansion. An important tool available to customers and collaborators, which, since today, speaks an extra language.